Our people are something that we’re really proud of here at Truwood and firmly believe that a high-quality team is key to a high-quality product. Starting out with just three individuals in 1981, Truwood has expanded its workforce to over forty employees and growing. With five of our colleagues with us over twenty years and ten over ten years, we endeavour to train, develop and retain our employees in order to constantly achieve the high standards that we have become synonymous for. As a family owned and managed company, quality and care is at the heart of everything we do. We care about our customers as well as our colleagues and feel this ethos is reflected through the quality of our work and consistently high-levels of customer satisfaction. 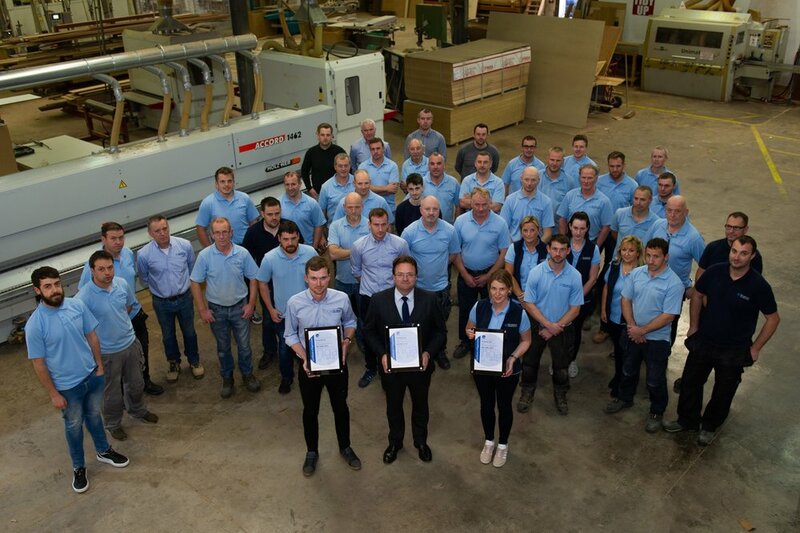 From the craftsmen on our workshop floor to quantity surveyors, project managers, CAD technicians, marketing, administration, finance, installation, management and apprentices, we are a diverse and highly skilled workforce.